Orange City’s own Usual Suspects will perform on Thurs., May 14 and Sat., May 16.  Three bands will perform during Tulip Festival to kick off the Orange City Arts Council’s annual summer series, Onstage Orange City. 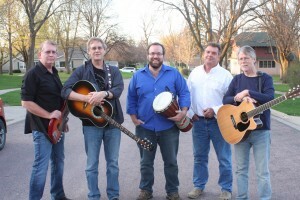 Orange City’s own Usual Suspects will perform on Thursday night, May 14. The band plays a variety of musical styles, including classic acoustic-based pop and rock, blues, contemporary folk and original songs. The Usual Suspects will also perform during Tulip Festival’s ArtBurst event on Saturday, May 16, from 10 a.m. to noon and 4 to 6 p.m. in the Straatmarkt. 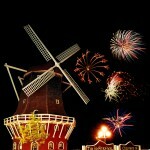 Now Serving 7 will perform for the third consecutive year at Tulip Festival on Fri., May 15. Damon Dotson and his band will perform on Sat., May 16. Damon Dotson is a singer-songwriter originally from Okoboji, Iowa. 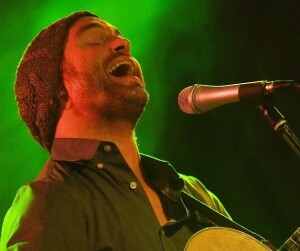 He performs in a variety of venues throughout the Midwest, including Minneapolis, Omaha and Chicago. He has opened for artists Willie Nelson and the Beach Boys, among others. 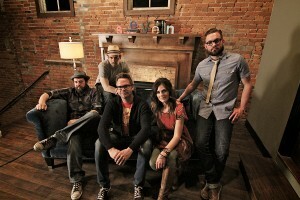 Dotson and his band members will perform songs from their new and rising album, “Tumblin’,”on Saturday night, May 16. The concerts will take place at the band shell in Windmill Park at 7:30 p.m. each evening, and there is no cost to attend. The rain location for the concerts is the Orange City Town Hall. Onstage Orange City is a program sponsored by the Orange City Arts Council, and brings in local, regional, national and international artists to perform throughout the summer. To view a full schedule for the 2015 season, visit orangecityarts.net. This summer will mark the sixth year of Onstage Orange City.